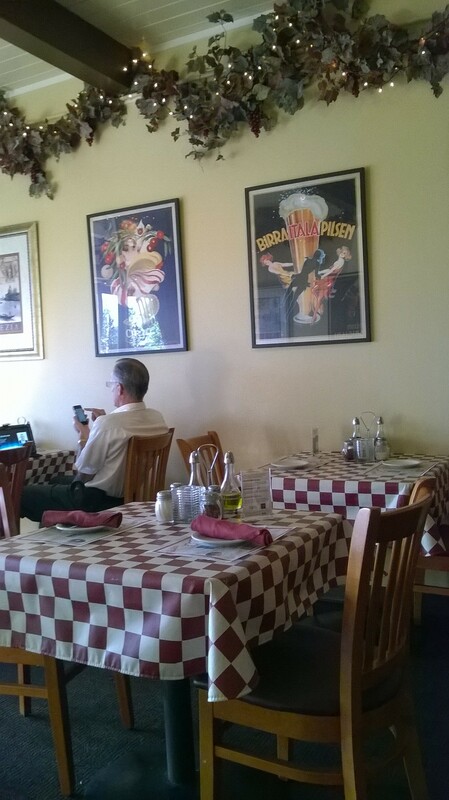 I have been craving for good Italian food lately, so I am currently on a quest to try different Italian restaurants in the Los Angeles area. After trying Il Fornaio, Buca Di Beppo, and Osteria Mozza, I ventured into a rather nondescript, small neighborhood Italian place close to my home this afternoon. Actually, I have passed by this restaurant hundreds of times throughout the years while getting take outs from a Chinese restaurant a few doors down. Some friends had recommended me to try but I never did until I received this “buy one get one free” coupon. My son got off school early today so we decided to go when the place is not busy (there is usually a crowd outside on weekends). There are less than ten tables inside. 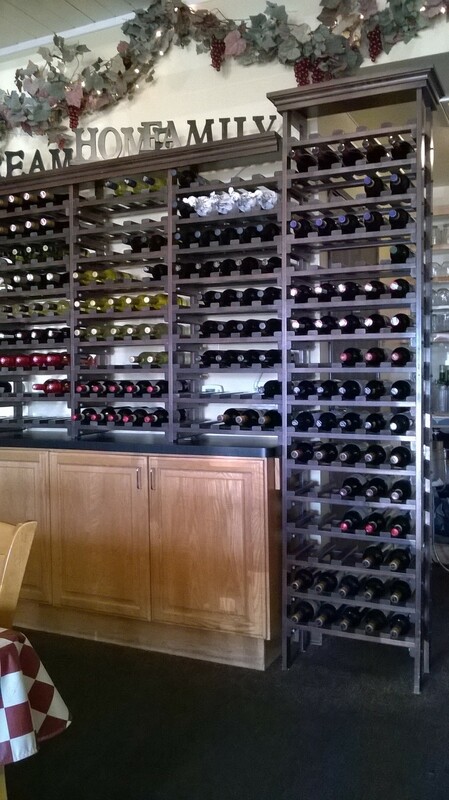 The decor is cozy and homey, and the waiting staff was exceptionally friendly. 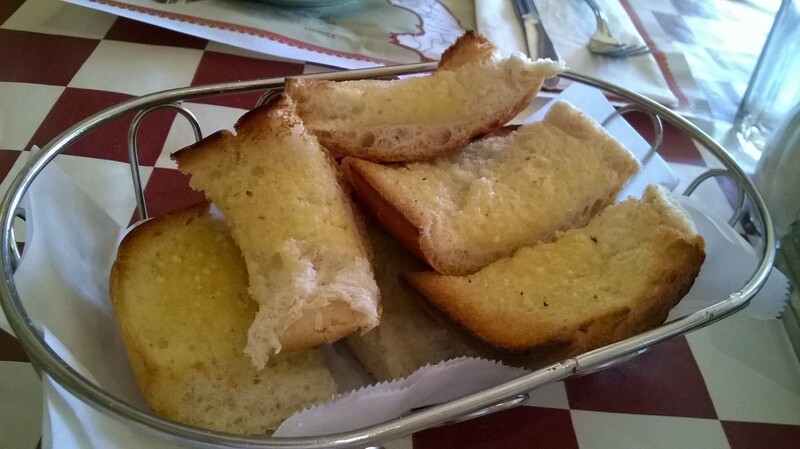 We were brought a basket of garlic bread to start. My son who said he was not that hungry earlier scoffed down almost the whole entire basket of bread. He said they were the best garlic bread he had ever tried! These were his words “crunchy, crispy on the outside, soft inside, and nicely buttered”. My Eggplant Parmesan was very tasty and not greasy. 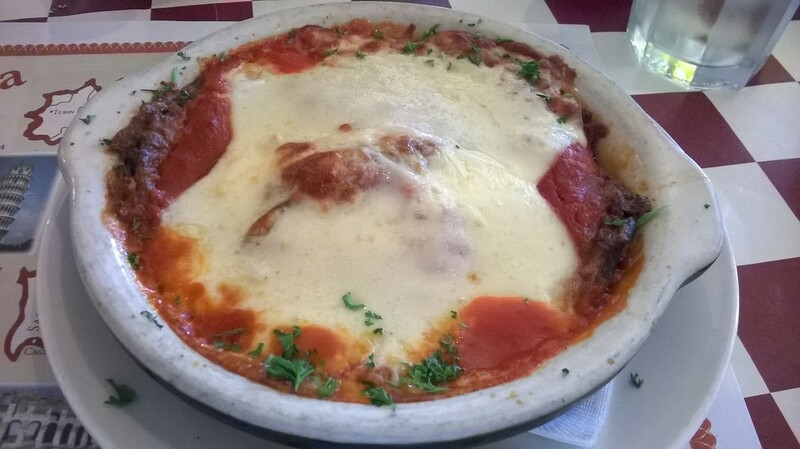 The sauce was fresh with a mound of soft, melted mozzarella cheese on top. 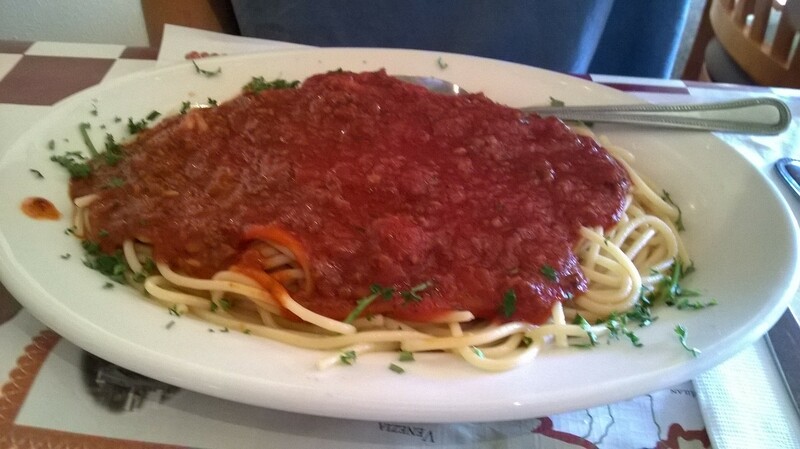 My son was very impressed with his spaghetti with meat sauce. The noodle was al dente and he said the tomato sauce tasted so fresh that it was like drinking tomato juice. He was still raving about how delicious it was on the way home. While the food was indeed good, I would have be more satisfied if the portion size could have been larger, my eggplant was a bit too small for a hungry stomach.